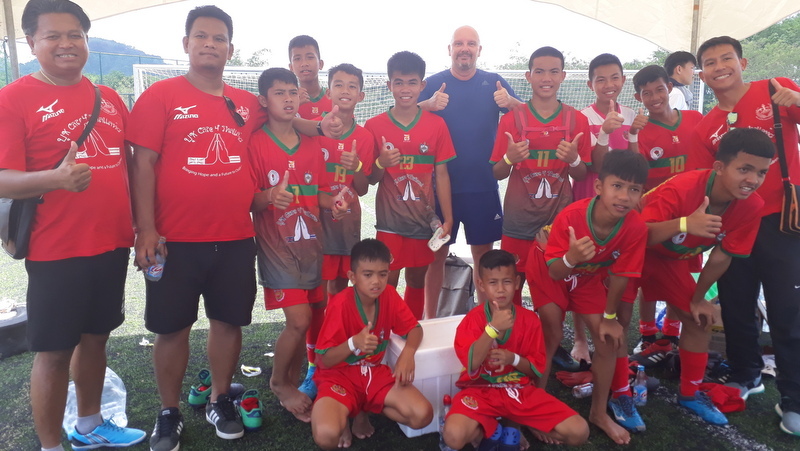 The boys, all aged 11-13, were selected from a series of schools across the area to play in the U14 age group at the 8th Annual Phuket Soccer School (PSS) Tournament under team name, Tonkla Mukdahan. 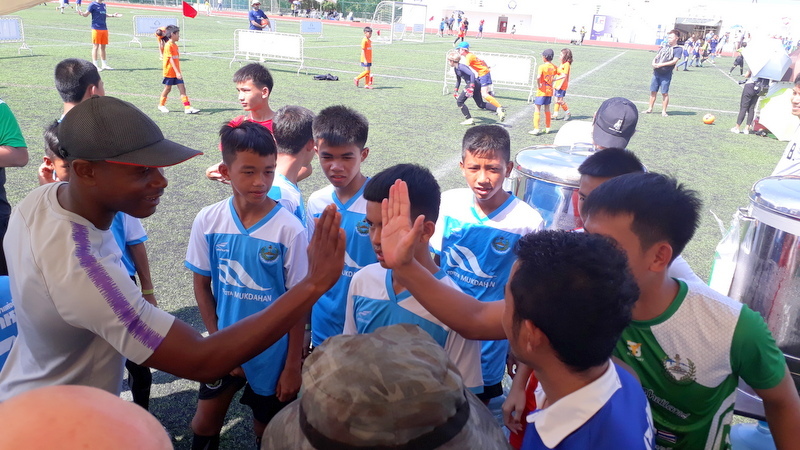 After leaving their province for the first time and embarking on a 24-hour drive to Phuket, there was a mixture of nerves and excitement among the boys, according to foundation trustee Richard Burack. Burack, a doctor from London, is one of four medical professionals that visit northern Thailand to host free medical clinics and educate local residents on health-related issues. 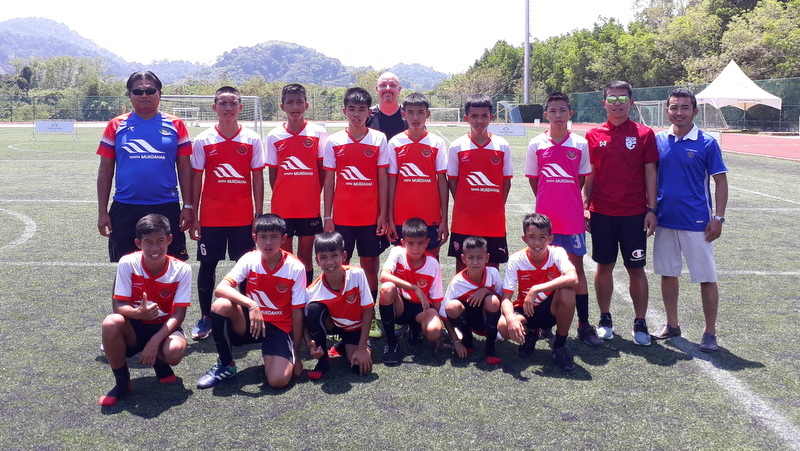 The morning after their arrival in Phuket, the boys participated in a training session at Thanyapura with Head Football Coach Steve Wallace, focusing on creating and taking scoring chances. This was the first time they had ever played or trained together, but they gelled quickly. Something else new for the boys came after training – a trip to the beach to cool off in the water and to see the sea for the first time. The question before the tournament from PSS Head Coach Martin Hill was if the boys would be able to compete against more experienced teams in an older age group. The answer came quickly as the newly created side defied the odds and raced to four wins and a draw on Saturday (Mar 9), scoring ten goals in the process. Tonkla Mukdahan finished the tournament with a very credible second place after tired legs got the better of them in their final group game. But nothing could take away from a great weekend where they made some new friends through football and memories they will never forget.